This is a view of the Browns River just past the bridge on Old Pump Road. The camera is about 65 feet above the level of the river looking Southeast. The camera is a Foscam FI9821W V2 which is a 1 MP wireless camera sending it's signal to the server, Totoro. 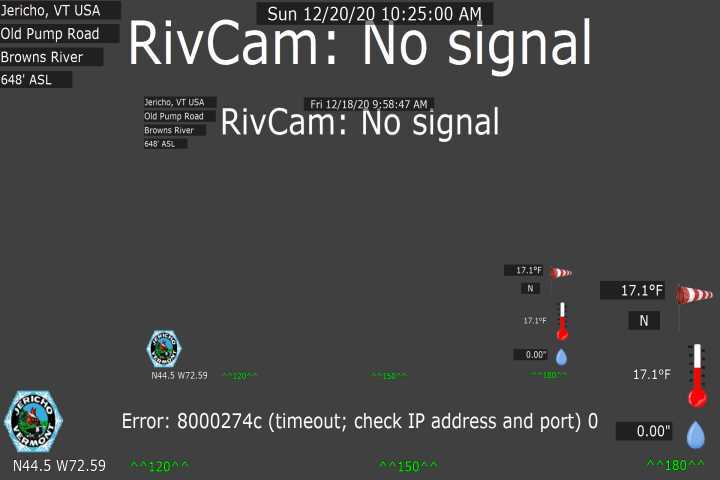 On the server we are running Blue Iris 4.01 which lets us lay graphics over the image and upload it with weather information and the Jericho Badge.